It’s that time of the year to announce the top three finalists for the North American Truck/Utility of the Year. The victor in this category is announced on Jan. 13 at Detroit’s 2014 North American International Auto Show. The top three contenders in 2013 were the Jeep Cherokee, Chevrolet Silverado 1500 and Acura MDX. Top three for truck/utilities nominated for 2014 are the GMC Sierra 1500, Chevy Silverado 1500 for the second year in a row, and Toyota Tundra. The truck/utility awards are chosen by 48 US and Canadian auto journalists. They judge vehicles in several stages. The first cut resulted in 18 truck/utilities going into the semi-finals. A second cut went to 12 in September. The final cut to three took place in December. 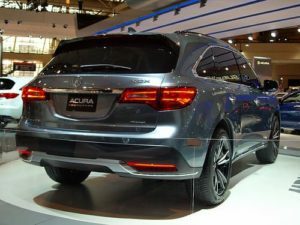 Inclusion of the Acura MDX to the list has surprised a lot of automotive analysts. The Chevy Silverado is the only real truck in the truck/utilities category. The controversial Jeep Cherokee is considered a favorite due to its technically advanced nine-speed auto and 4-wheel drive option. However, the Jeep Cherokee’s exterior design has attracted detractors.